See more objects with the color darkolivegreen darkseagreen grey darkslategrey darkslategrey or see all the colors for this object. 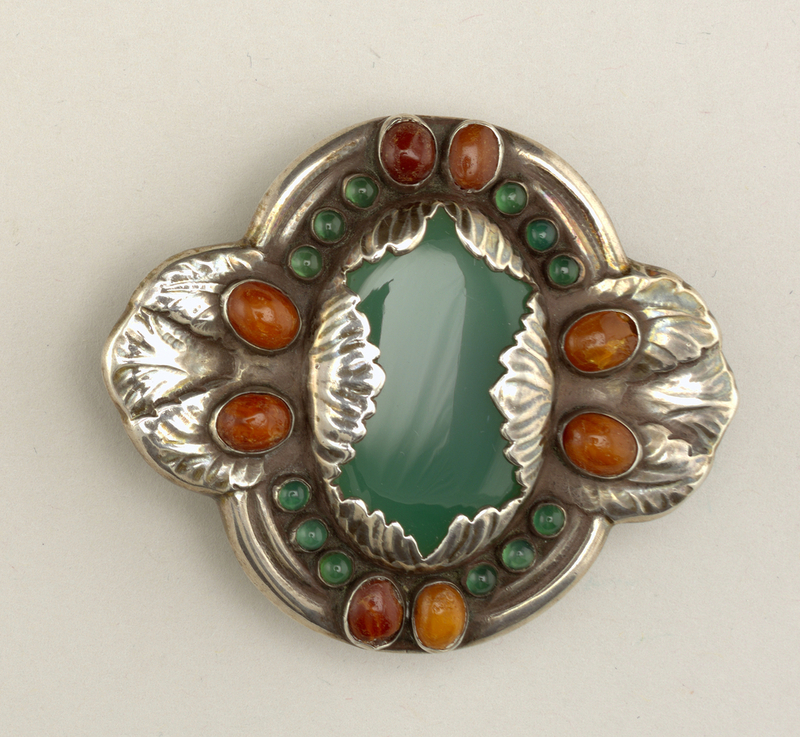 This is a Brooch. It was manufactured by Georg Jensen Sølvsmedie. It is dated 1904–08 and we acquired it in 1989. Its medium is silver, agate, amber. It is a part of the Product Design and Decorative Arts department. Stamped on back of silver frame: "826 S GJ [monogram] G.J."